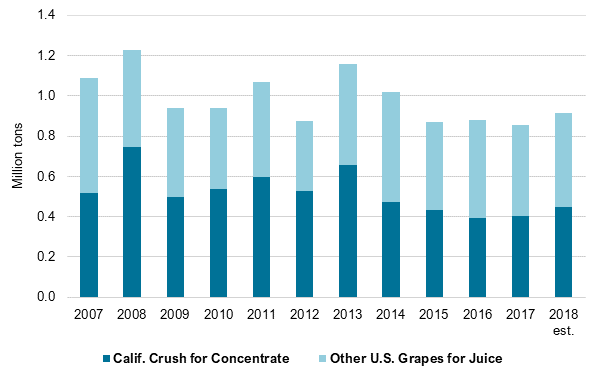 California grape processors crushed 450,000 tons of 2018/19 fruit to produce grape juice concentrate, up from just over 400,000 tons the previous season. 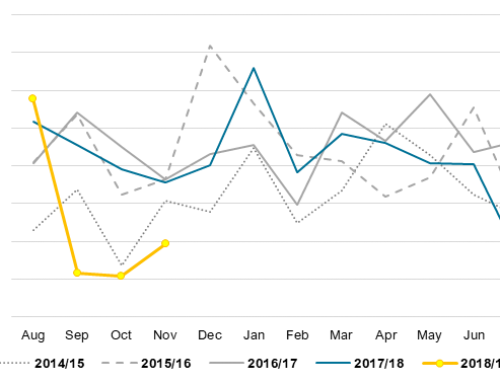 Total crush of all the state’s grape varieties, at 4.5 million tons, was up 6 percent year over year; crush of red wine varieties was up 9 percent, and crush of white wine varieties was up 4 percent. 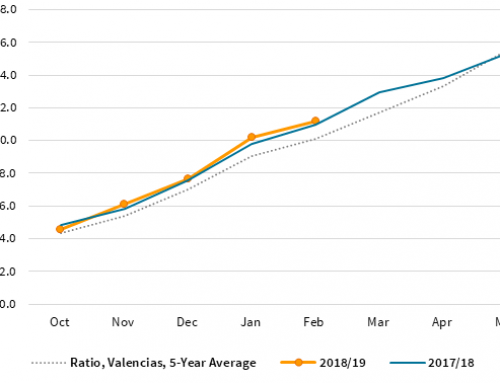 We estimate other states’ 2018/19 utilization of grapes for juice to be slightly higher than in 2017/18. 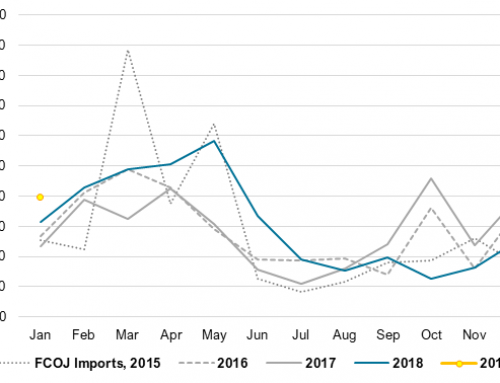 Imports accounted for about 30 percent of U.S. grape juice consumption in 2017/18, down from over 40 percent just a couple years previously and around 50 percent back in 2010. 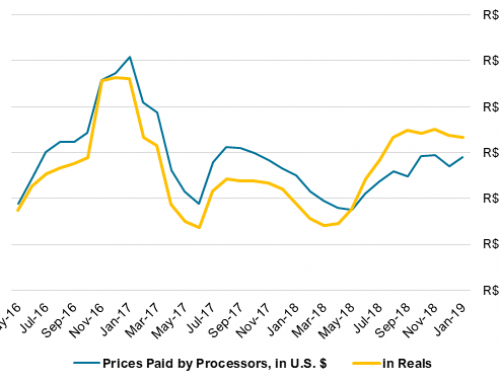 Domestic juice production has been fairly steady since 2015, while imports have reflected the decline in juice demand. Per capita consumption of grape juice declined from 0.44 gallons per person in 2014 to 0.31 gallons in 2017. 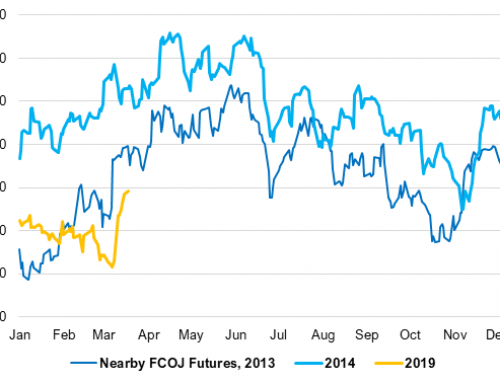 FCOJ market sees seasonal runup?